The City’s latest Arbutus Greenway newsletter shares an update that the existing rail right-of-way between West 1st and West 5th Avenue “is not required” for future greenway purposes. The City is proposing to remove these lands from the Arbutus Corridor Official Development Plan. The matter is being considered at a Public Hearing being held on Wednesday, September 5. 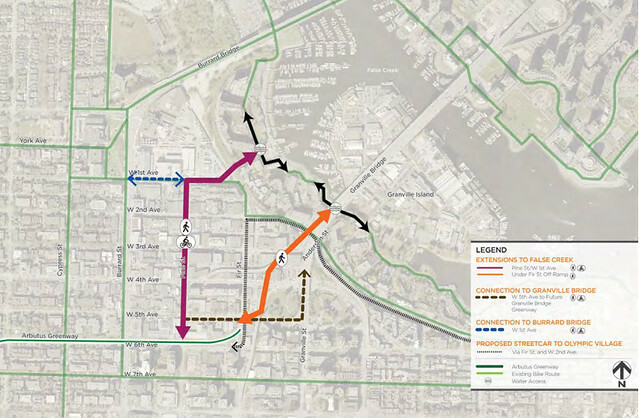 We were contacted by a few members who expressed some concern that this would mean that there wasn’t going to be a good link between the northern end of the greenway (currently designed up to W 5th Ave) and the Seawall. Importantly, one of the primary objectives for the north end of the greenway is to connect it to the False Creek Seawall and Granville Island. The good news is that the approved Arbutus Greenway Design Vision does actually propose routing to make this connection – as illustrated in the map below. The lands currently in question – known as the “option lands” – were part of the original negotiation with railway Canadian Pacific, and identified as such in during the public engagement process. The initial deal (“Purchase Agreement”) allowed CPR the potential to repurchase these lands if they were ever rezoned. This was seen as a trade-off in an overall negotiation that saw the City acquire the 9km corridor for public use. Without the “Option Lands” incentive, an agreement with CPR may not have been reached, as this formed a key part of the negotiation and meant the City was able to purchase the Corridor for $55m – roughly a third of what CPR had originally proposed. As we understand it, part of what made this more palatable during negotiations were technical and safety concerns that the existing rail right-of-way was insufficiently wide, and challenged by unsafe street crossings, to accommodate the multi-modal aspirations associated with the greenway. Walking, biking, streetcar and other public realm improvements are meant to be part of the design, and the City engineers and designers wanted a route that could better accommodate these different modes. But with the proposed alternatives, the devil (as always) will be in the (design) details. The current proposal would see a (separated) cycling facility and a walking route to False Creek via Pine Street and West 1st Avenue, and potential for a walking route to False Creek and Granville Island under the Fir Street off-ramp. In the future, the proposed Arbutus line streetcar is also intended to link up with a wider streetcar network. 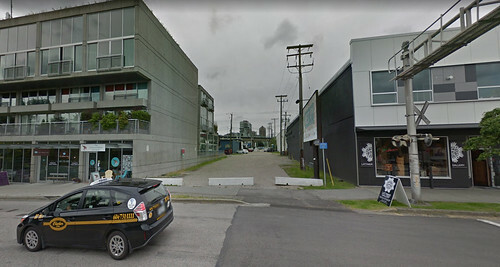 Given that these alternative north connection streets are also currently open to automobiles, and traverse light industrial and commercially-zoned areas, it will be particularly important to ensure a design that properly links the Arbutus Greenway experience to the waterfront (and back again). We would advocate for a design that has a strong pedestrian-primary focus, consistently separated “all ages and abilities” bike routing, clear routing for the future streetcar – and, yes, lots of greenery for the greenway. Proposed Pine Street route for northern pedestrian connection. (At W 3rd, looking north). Source: Google Streetview. Given the mix of existing activities and uses that surround the northern extension, the proposed routes each have their own challenges. In order to ensure the best possible array of design options are produced, we would recommend that the City hold off on its plans to de-list the aforementioned Arbutus lands from the Arbutus Corridor Official Development Plan until the design for the northern connection is complete. In the same vein, we think it would be similarly prudent to avoid the rezoning or sale of these lands until this important northern linkage is rolled out. In the end, the option lands may be a legitimate way to finance – through rezoning and sale – some of the critical public space improvements that are coming with the Greenway. 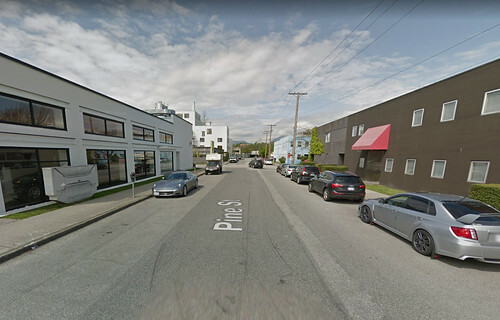 If a better, more inclusive and people-friendly route can be delivered on these adjacent streets, per the Arbutus Design Vision, then we think that’s an acceptable alternative. We know this is something that is a stated priority of the City. But in the meantime, until the northern connection(s) are in place, there’s no harm in keeping these lands on the table in case they are needed.